Oversized 3-fold card for Drawings, a group exhibition at Mary Boone Gallery, 1984. 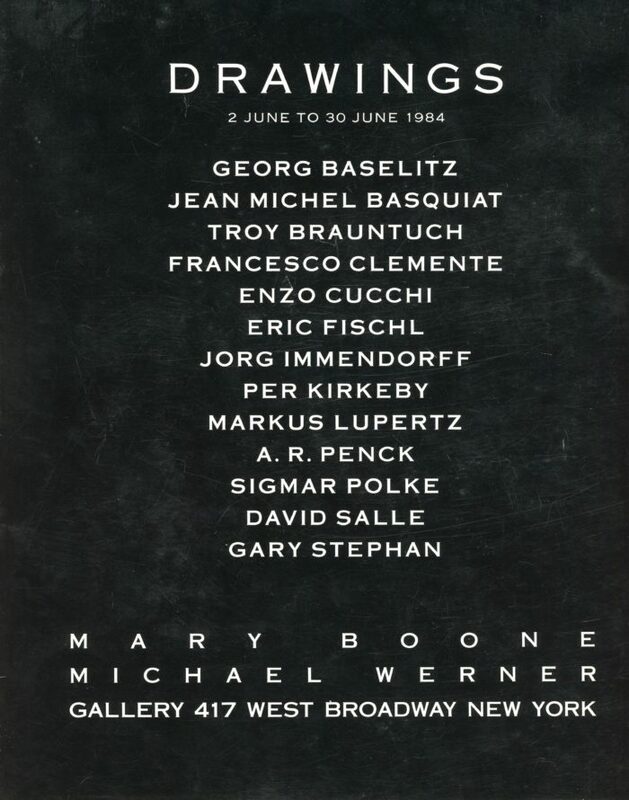 Participating artists included Jean-Michel Basquiat, Francesco Clemente, Eric Fischl, David Salle and others. 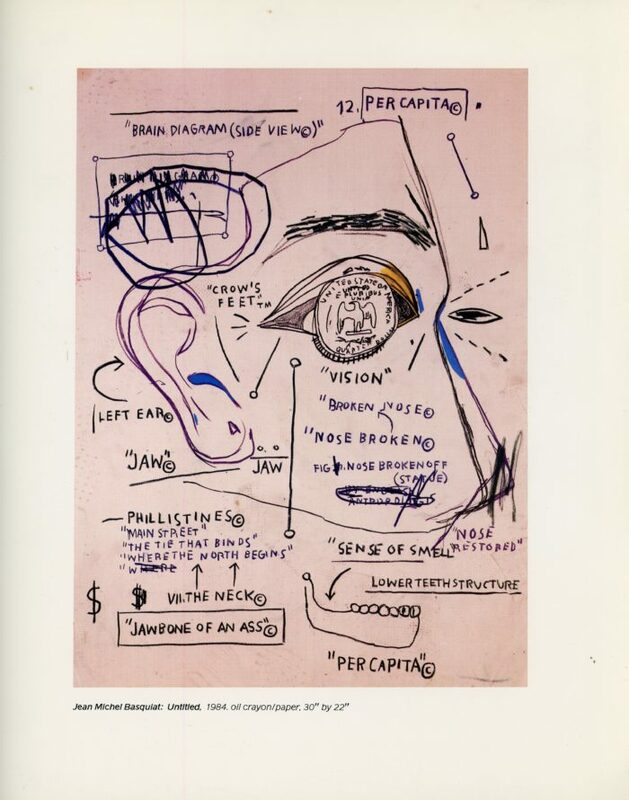 Inside of card features several large color prints, included work by Basquiat and Salle.